I have been waiting for a magazine, newsletter or anything that was written for me and my favorite kind of people – Scooter People! “Scoot!” ceased to exist in 2013 and I got tired of waiting so I’m starting one myself, The Scooter ‘Zine. *My name is Howard and I’ve been riding scooters since 2008. 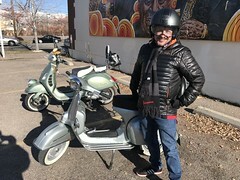 I’ve owned at least 9 scooters, started a scooter club, been to Amerivespa, High Rollers and even ridden a Saddlesore 1000 on my Buddy 150. 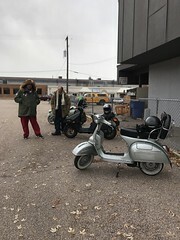 I’ve ridden with clubs in AZ, CA, NV and NM. 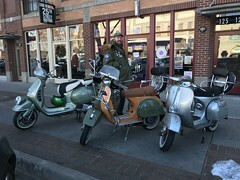 My scooter has helped me make friends all over the country. 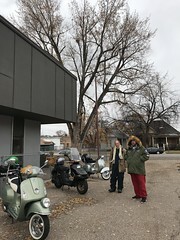 I want to share my scooter passion and that of other riders with every rider who has a bit of time to read. Do you love to ride and enjoy meeting others who do, too? The Scooter ‘Zine is for you. Do you look for exciting roads to ride or to share your favorites with others? The Scooter ‘Zine is for you. Looking for reviews of gear with the scooterist in mind? 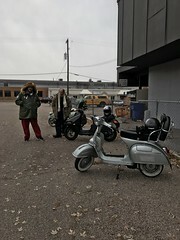 The Scooter ‘Zine is for you. 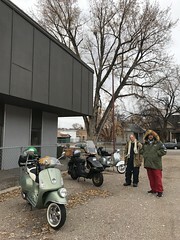 Want to know more about scooter clubs? Who they are? What they do? You’ll find out in The Scooter ‘Zine. The Scooter ‘Zine will be a small magazine written by and for active scooter riders. I live and have ridden in the desert southwest and the mountain states, so that’s the region on which we will focus. It will initially be published bimonthly.